This debut novel defies genres while delivering humor and oddball characters. 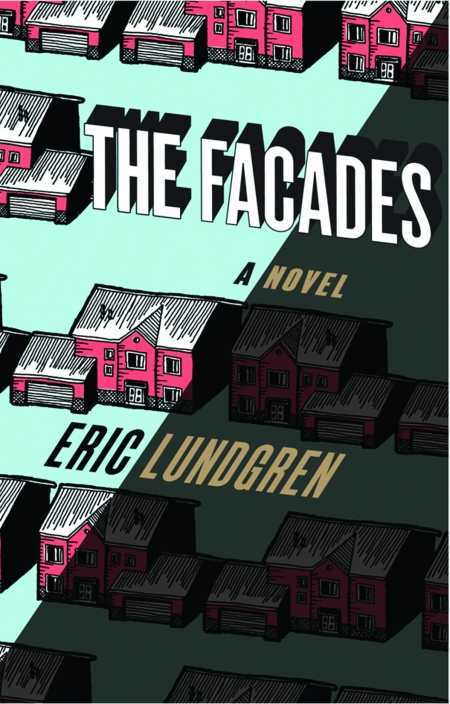 In The Facades, fabulist author Eric Lundgren has created an imaginary urban environment that includes a missing opera singer, an evangelist preacher, and a police detective named The Oracle. The novel opens as Sven Norberg is searching for his wife, Molly, the city’s beloved mezzo soprano, who disappeared one night as she walked from her opera rehearsal to the local deli. The setting is Trude, a city “stranded in the long and level void between the two coasts.” The tone is comic. Trude—named after one of Italo Calvino’s Invisible Cities—has a deteriorating downtown with broken stained glass windows, dark alleys, and graffiti-splattered mansions. There is danger in the decay, and residents don’t like to be out too late alone, but like Molly’s disappearance, there is no urgency. Trude, as a tourist brochure proclaims, is a place to get lost. The city is distinguished by several buildings designed by the Austrian émigré architect, Klaus Bernhard. These include the opulent opera house that features a ceiling mural of Orpheus and a two-ton chandelier; the Ringstrasse Mall, the town’s top tourist attraction, with its central maze “misunderstood by millions of corn eaters”; and Bernhard’s masterwork, the Traumhaus retirement home where residents with failing memories continuously rewrite their memoirs. Like the city, Norberg’s life continues to crumble. His teenage son rejects Norberg’s existentialist world view and becomes an evangelist. The police detective McCready and his sidekick, The Oracle, announce Molly’s trail has grown cold. Then Martin Breeze, the local art critic, begins incorporating acrostics in his newspaper column that hint at Molly’s whereabouts, and Norberg resumes his quest. Eric Lundgren works at a public library in St. Louis, and he’s reserved a special place for librarians in his debut novel. When the mayor threatens to close the city’s libraries, librarians from the Central Library defy city hall to form the Trude Thirteen. The head librarian is the author of a book of short stories, Medusa is Looking Pretty Today, which was the book Molly was reading before her disappearance. Is this a clue, or like Molly’s Halloween costume when the couple met, another red herring? Like the best storytellers, Lundgren understands that his job is to ask questions, not answer them. And the questions pile up. Was Molly kidnapped or did she leave a paranoid, unobservant husband? Is The Facades a mystery, a family drama, or a post-modern tale? This inventive novel defies genres: it will delight readers who enjoy clever wordplay, oddball characters, and a glimpse into a not-so-distant future.